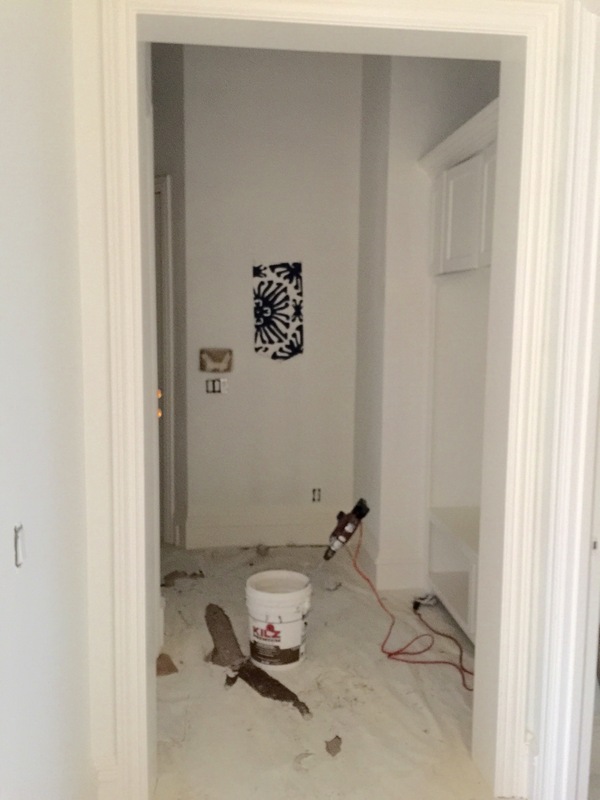 I’m continuing to fine tune the details for our laundry room & mud room but my game plan is still far from solid. Things are very busy at IBB Design with client projects & I’m headed to market in High Point North Carolina today so I’m literally planning this makeover in my sleep at this point. Here are a few more inspiration photos that depict the look & feel I’m after. 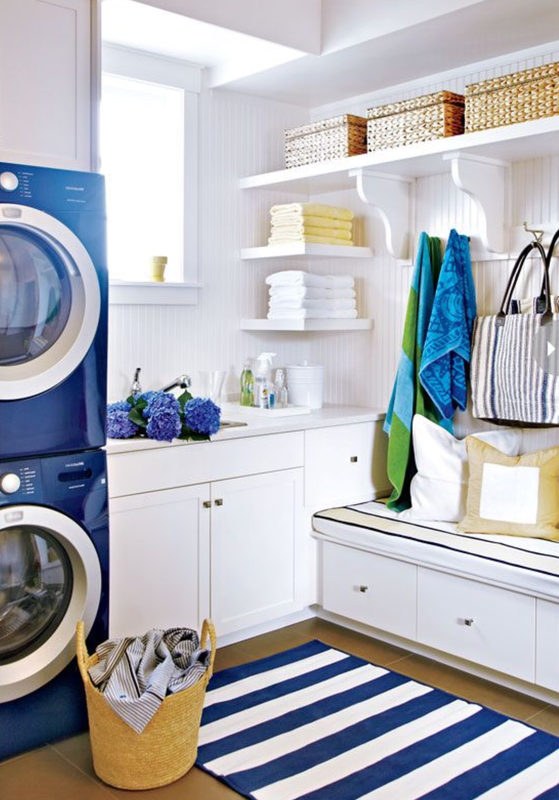 I’m really digging the idea of a striped rug in the laundry room. 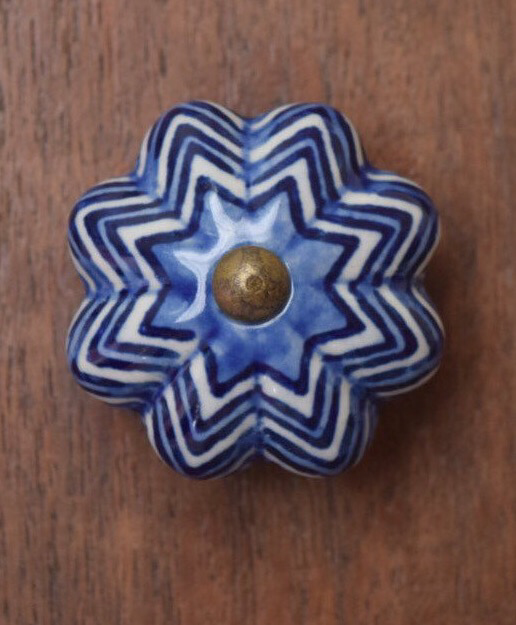 I think it will work great with the wallpaper, so I’m on the hunt for the perfect indoor/outdoor striped blue rug. Speaking of wallpaper, say a prayer that Quadrille can meet my installation deadline. It’s all hand printed & seeing that we’re on a very tight timeline, it’s going to be cutting it very close to get it installed prior to the big reveal. I’ll hopefully have confirmation of a delivery date in the next few days. If they can’t meet my timeline, I may have to consider re-selecting. I love it so much & it was really my jumping off point so I’m crossing my fingers that it all works out! 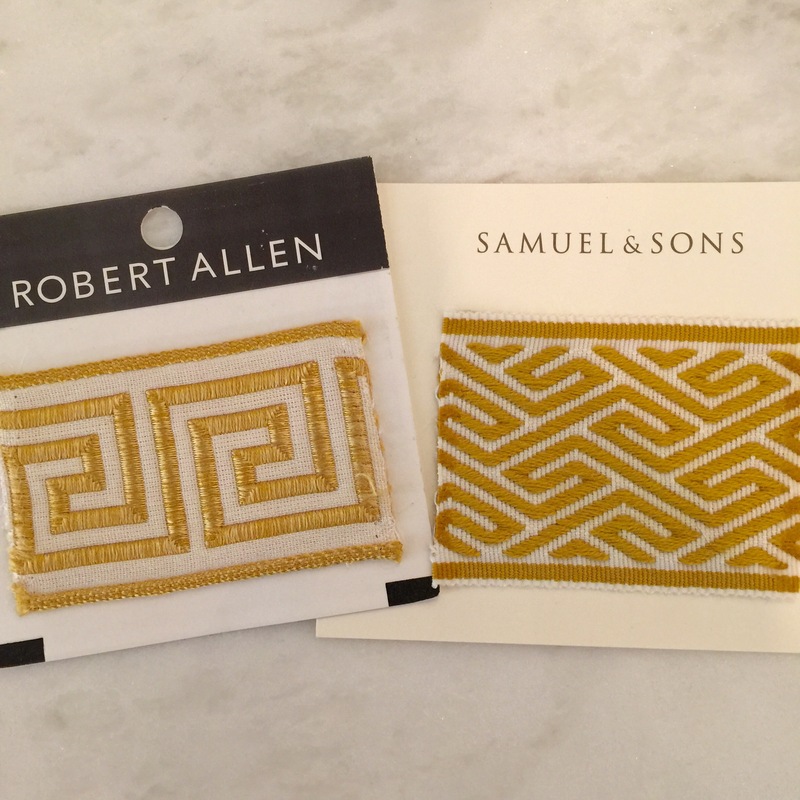 I love, love, love the idea of throwing in a pop of yellow so I’m thinking of using one of these trim tapes as a detail on the window treatment above our washer & dryer. 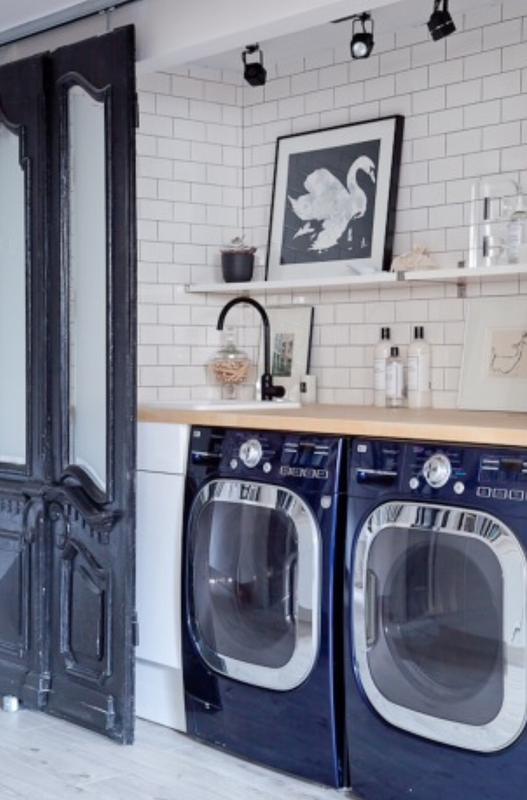 A blue washer & dryer will take center stage underneath our white quartz countertops. The photos are a bit dark. The power is currently off in these areas since they are working on re-doing a lot of the electrical. New LED can lights were installed & a Jbox for a chandelier (which I still need to select). 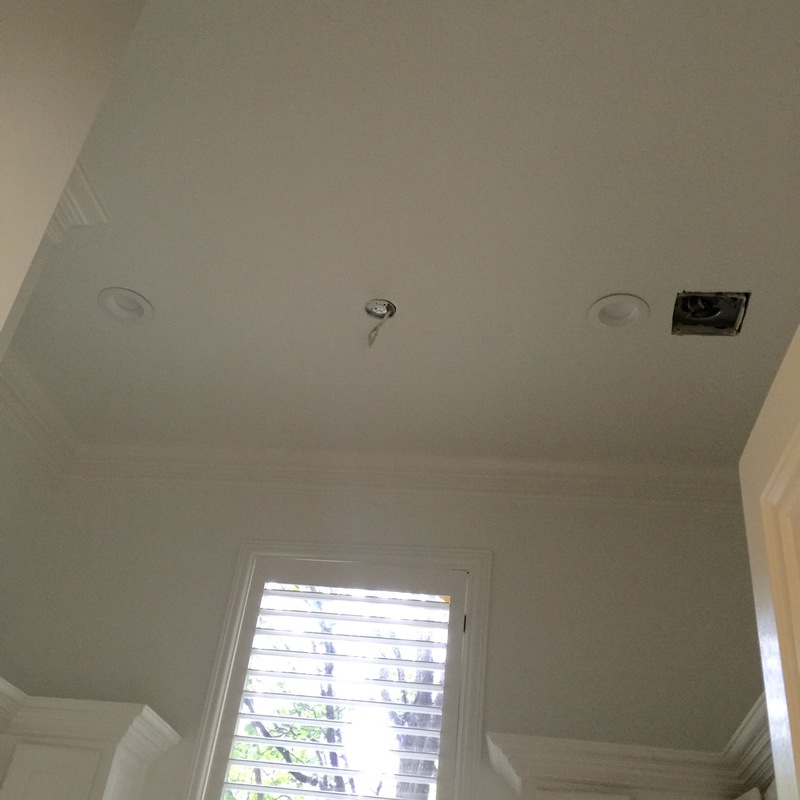 The ceilings are tall in here so I’m looking for a fun pendant or semi-flush mount. 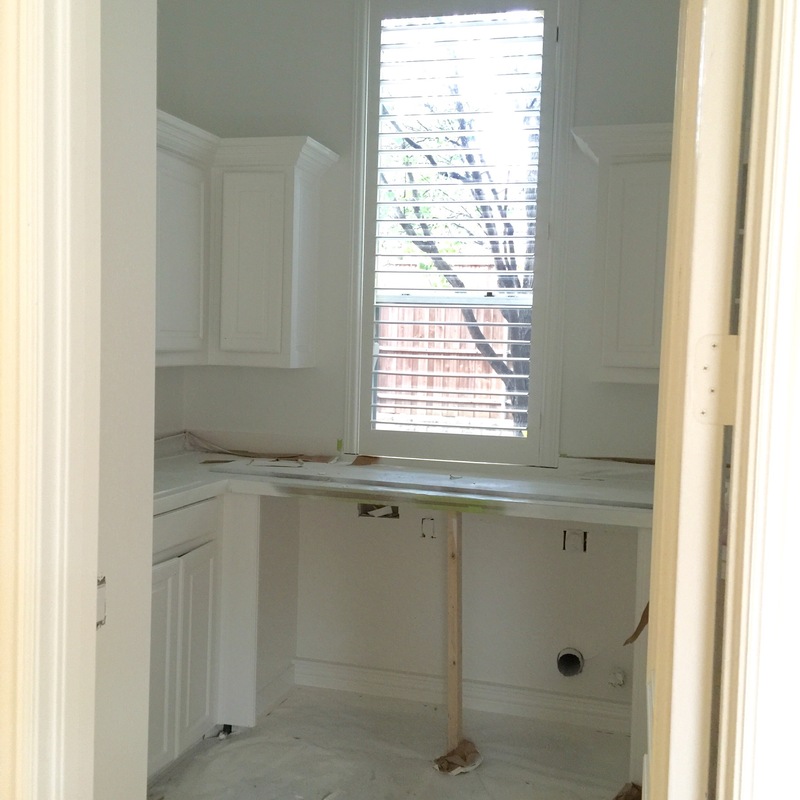 The cabinetry has all been painted in “Shay White” & the quartz countertops have been installed. 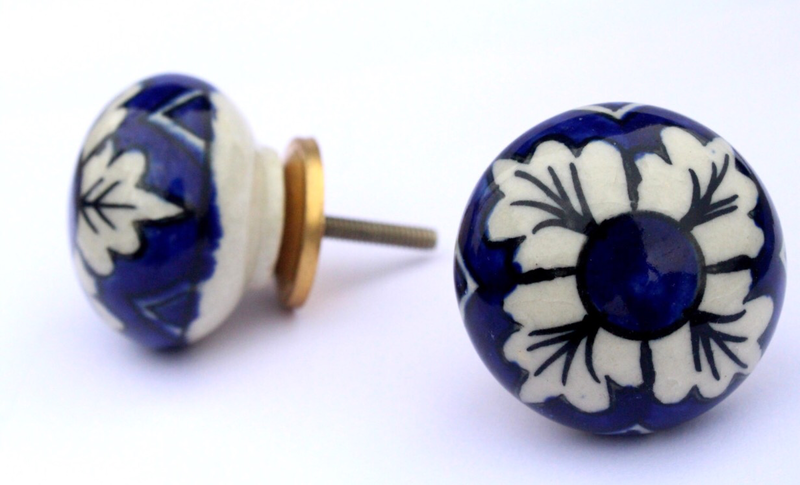 I ordered samples of both of the knobs below to consider for the cabinet hardware. The mud room needs a bit more planning. 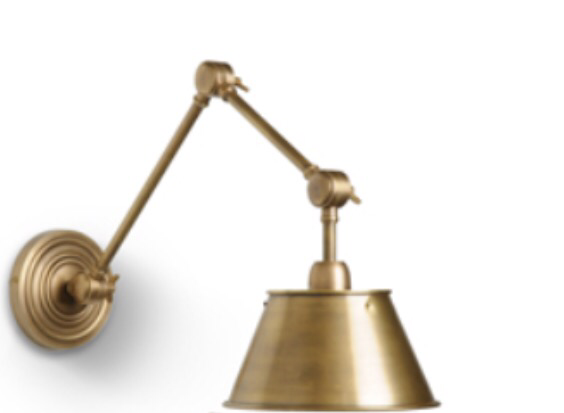 I know I want to use these sconces to hang over the tops of the locker cabinets. 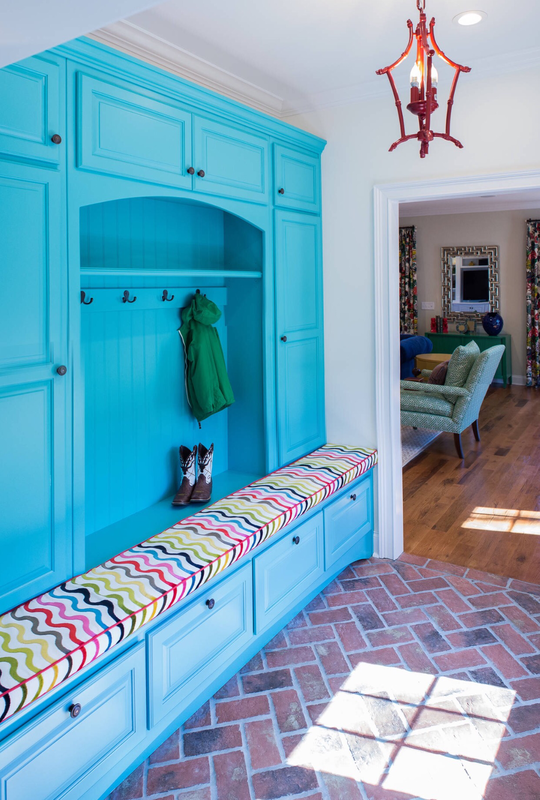 I love the cheerfulness & color in this mud room. 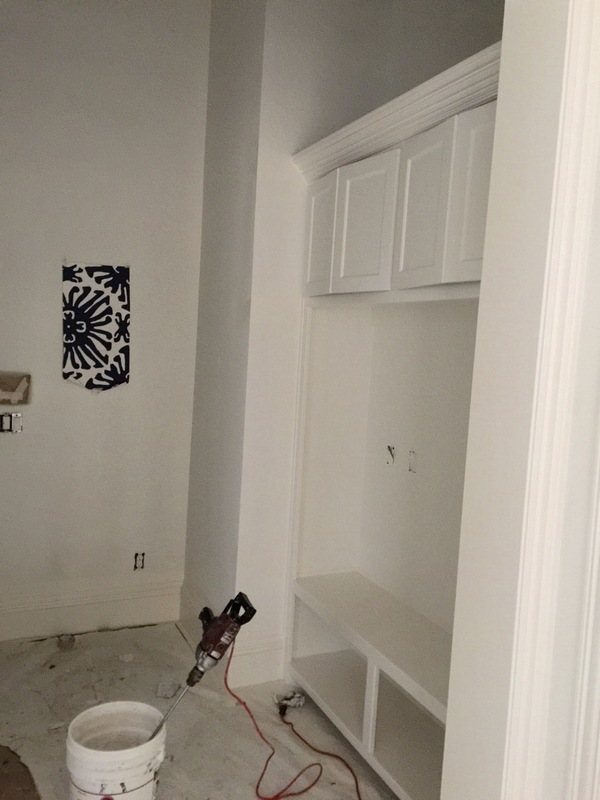 In my mud room, the cabinetry will be white & the wallpaper will continue into here so I will pull accent color in thru the pillows & cushions on the benches in the lockers. The cabinets have been painted & the walls are being prepped for wallpaper. It’s starting to come together but there are many details left to finalize. 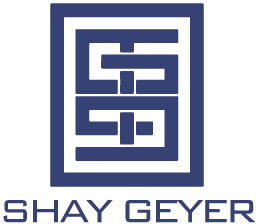 I’m looking forward to being inspired this week while I’m attending the High Point Home Furnishings market. Make sure you’re following me on instagram to get more sneak peeks.